Recording is the key for engineers to discover problems and timely maintain and repair mixing plant equipment, such as motors, transmission gears and so on. These equipment can judge whether they are normal or not by the sound of their work. If there is any abnormal noise, we should stop the work of the machine in time and carry out careful inspection. After the work is completed, it is not so simple as shutdown, but the important thing is to clean up the equipment inside the mixing station. 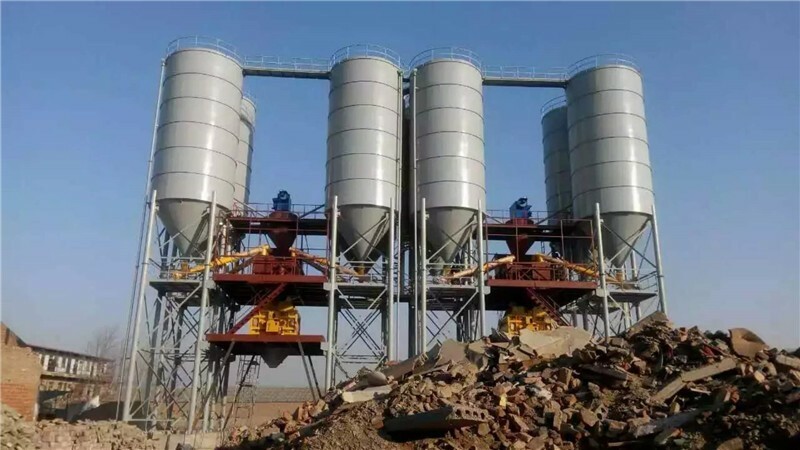 Because the main gel material of concrete is cement, once you solidify, it is difficult to clean up, causing the internal agitation of the agitator tube, eventually affecting the mixing work, and aggravating the internal abrasion of the mixing station equipment. So customers can clean themselves after using the mixing plant equipment. Large mixers have automatic cleaning system, which makes cleaning more convenient. Before the use of each shift, no matter what type of mixing plant equipment should be fully checked. In the mixing plant equipment, the inspection of the mixing machine is particularly important, because the mixing machine is usually sealed and in the mixing platform. If at this time, and the control room personnel can not directly observe, so to enter the mixing building for inspection.